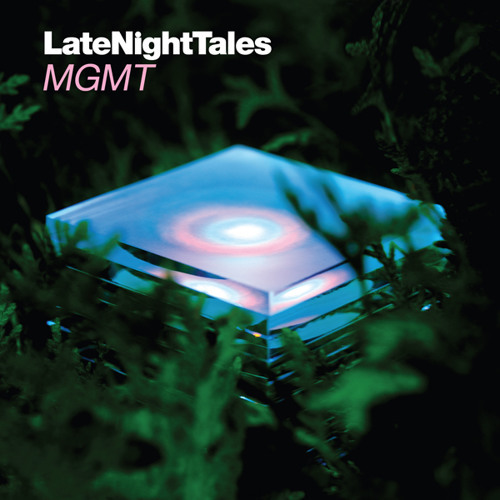 Out Now: iTunes: http://itunes.apple.com/preorder/late-night-tales-mgmt/id461820028 LateNightTales: http://latenighttales.co.uk/product.php/159/mgmt-late-night-tales/dbf58c72090d800b8959260b9b510a63 Formed in 2002 in Brooklyn, New York the band consists of multi-instrumentalists Andrew VanWyngarden and Ben Goldwasser, both alumni of Wesleyan University. Their 2008 debut album ‘Oracular Spectacular’ spawned the almost ubiquitous hit singles ‘Kids’, ‘Time To Pretend’ and ‘Electric Feel’ while 2010’s follow up ‘Congratulations’ saw them embrace more of a progressive, guitar-driven sound. The band’s Late Night Tales selection of post-punk, cult indie and counter-culture figureheads reflects the band’s multifaceted sound, and draws comparisons with contemporary dreampop/chillwave/shoegaze/folk scenes on both sides of the Atlantic. The listener finds MGMT presiding over the playlist "after-the-after-party”; daybreak creeping through the curtains earlier than desirable, broken bodies lining the corridors, the emotionally bankrupt kept alive by timeless songs of heartache and longing. Luminaries The Velvet Underground, Suicide and Julian Cope, although not with their most famous songs, sit alongside less familiar names such as Disco Inferno; whose ‘Can’t See It Through’ from their final ‘96 album ‘Technicolour’ opens proceedings. MGMT’s exclusive cover of ‘All We Ever Wanted Was Everything’ by Bauhaus sits comfortably alongside the UK post-punk-gothic band’s peers The Durutti Column, The Chills, The Jacobites and Felt’s brief but imposing instrumental ‘Red Indians’. Paranoia strikes deep: the double header of Cheval Sombre’s ‘Troubled Mind’ and ‘Drug Song’ by 60’s Christian folk singer Dave Bixby accentuate the hope offered by the ever penitent Spacemen 3 (MGMT’s second album ‘Congratulations’ was recorded with founder Pete Kember aka Sonic Boom), who deliver ‘Lord Can You Hear Me?’ in respect to the beautiful closer ‘Morning Splendor’, taken from Pauline Anna Strom’s rare ‘82 LP ‘Trans-Millenia Consort‘.